A new number of the journal “Boletim de Graças” (Bulletin of Graces), the 21th, has been released. The Alexandrina Foundation offers now some services to the pilgrims with guided visits, with programs for one morning, for one afternoon or for one day. Look and see, Jesus, the anxieties I have; if it was not for You, they would have taken my life. I want to be born again, but already knowing You, so that I may never pollute my body. I want that, along with me, the whole world might be born again and that it, too, might know You so that it would not let itself be polluted. I want a new heart, but one that has always loved You, and will never stop loving You. I want the same for every creature, so that each loves You with the same love that I wish for myself. We knew that the book by Fr Humberto Alejandrina. Alma de víctima y de apóstol had been published in Spanish by Edibesa, but we had no copy; we get one now. It is an excellent work to present our Beata to Spanish-speaking people. To escape the assault of those who put in serious danger her chastity, Alexandrina, at age 14, jumped out a home window, falling to the ground from a height of about four meters. The fall caused irreversible damage to the spinal cord. To this was added an incurable myelitis, which worsened the situation by reducing her to immobility. It was the beginning of a calvary that progressively became a painful mystical experience, reviving in her soul and flesh the Christ's Passion. After more than 30 years of suffering, she dead in 1955 with 51 years of age. The last 13 years and seven months lived with no other food that the Eucharist, phenomenon rigorously tested and studied by science. This singular life had profound impact on the whole mystery of Fatima, especially with the consecration of the world to the Immaculate Heart of Mary. This book, written by Fr. Umberto Pasquale, her spiritual director, is a reflection of this. It offers a stimulating example for those who suffer, for those who wish to learn about the flowering of holiness in our day, and find the mysterious but real presence of Christ in human life. Foreword by Archbishop Manuel Monteiro de Castro, titular Archbishop of Benevento, Secretary of the Congregation for Bishops at the Vatican. A curiosity: there is an Alexandrina’s nice picture taken in 1943 (see below); the book gives this information about it: that day she was with a high fever. A slight swelling beautifies her face. The Cardinal is a very close friend. A few days ago he sent me, a few very, very comforting words: he wrote that in inaugurating the Basilica of Fatima he thought of Balasar. He said that he put me on the paten and offered me to the Lord as a victim for sinners. And even more things. The Archbishop’s secretary, Dr. Sebastião Cruz, brought a canon and professor from Salamanca here. They said that he was very pleased. Dr. Sebastião told me that he always was, and always will be, on my side. It seems to me that it was a mystic who had come from Salamanca, to study my case with him and with the Abbot of Singeverga, who is now already studying the writings. Letter to Fr Mariano Pinho, November 3, 1953. - I can die Martha, but I hope to die satiate! This sentence remembers the Gospel story of Lazarus' resurrection, and more particularly the two sisters of the risen one, Mary and Martha. Traditionally, Mary, who sits to hear Jesus, and Martha, who is busy with the house work, are seen as images respectively of the contemplative life and active life. It turns out however that the great mystics, like St. Paul or St. Teresa of Avila, were too very active people. What happened with our mystic Blessed Alexandrina? Did she live locked in her room, forgotten to what was happening in the world? - Died the mother of the poor! And her pastor saw in her his most active cooperator. She was Mary, but also Martha. for all those who suffer. and remedy for all the evil. I am nobody, I am nothing, I am of no value. to feed all the hungry. Oh holy charity of my Lord, how beautiful you are, how you can please and console my Jesus! Blessed Alexandrina, I want to learn from you! 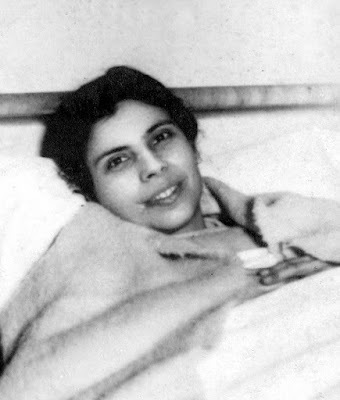 Many people write about Blessed Alexandrina, other record videos. But often do not have access to the best sources that are naturally her writings. So we put online a little work, prepared by Eugenia Signorile, with the title Blessed Alexandrina, I want learn from you! There you find Alexandrina in her truth. A documentary using costumed portrayals, historical imagery, maps, paintings and scenery to present the life of one of the most famous English Martyr's - Saint Thomas More. Told from Sir Thomas More's own perspective, step back into early Tudor history and walk through the fascinating life of this great Englishman from his early years in the home of Cardinal Morton, through his friendship with King Henry VIII, his extensive writings against heresies to his final days in the Tower of London and his last walk to Tower Hill. With a look at his encounters with the great figures of Tudor history including Erasmus, Anne Boleyn, Calvin, Luther and Bishop John Fisher, this is a detailed and original documentary presented in a new and interesting style. 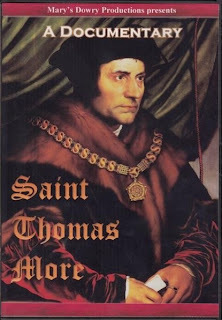 Seeped in history and touching upon the depths of Saint Thomas More's Faith and love of Christ, enter upon a simple but informative journey with this courageous Chancellor of England. The DVD has a runtime of 1 Hour and 6 Minutes and is available worldwide in all region formats. Available through our website at this link or from Amazon UK or Amazon COM. Go, beloved souls, go, holy souls, go and conquer souls! I am hungry, I am thirsty! Bring them to my Divine Heart. I ask for them, I ask for them: I do not want to be offended! Form armies. Teach, conquer, nail yourselves to the life of Christ! I am the Lord, the Lord Jesus, who came to earth to fulfill the will of my Father. What awaits me now in the New Year? I saw all the sufferings of the year, but they didn´t belong to me, neither did my prayers belong to me; if they belonged, they were stillborn, dead. I was finishing the year without anything to give Jesus. I began to see the depth of my misery, my nothingness! I remembered my spiritual father, imprisoned, and suffering so much because of me! I thought of all the lights that had been taken from me, lights which I much needed to guide me and to take me closer to Jesus. I thought of my doctor and my loved ones who have given me so much care and affection and love. And here is me with nothing to give, and so miserable! I could not resist. I began to cry. O my Jesus, oh, so much care and so many opportunities lost because of me! Oh, what I am and whom they think they do these things for? Recompense them, my God, fill them with Yourself, with your love. It was a day full of bitterness. I received some gifts that gave me joy. When the soul was beginning to feel the joy, to taste it, Jesus came severed my senses from it. Let Thy will be done, O my love, for Your love. Thanks for everything, my Jesus, for all the pain and all the joy. Forgive my ingratitude toward You. What awaits me now in the New Year? Send me what you like, Jesus, because I accept everything, but don’t deprive me of the grace I need. And give me all Your love. Now available on DVD worldwide from our online shop at Mary’s Dowry Productions, through Amazon UK and Amazon US, is our program on Our Lady of Walsingham. Touching briefly but relevantly upon many aspects of British history including the Battle of Hastings, King Edward the Confessor, Lady Richeldis de Faverches, the Crusades, the Tudor and Elizabethan monarchies, the Catholic Emancipation Act of 1829 and devotion to Our Lady in England, this is an original approach that encompasses the English Martyrs and most importantly the spirituality of the Catholic Church in history. Presented from the Shrine of Saint Philip Howard, English Martyr, who is believed to have penned the Walsingham Lament after his visit to the ruins of Walsingham with his cousin Queen Elizabeth I, this DVD seeks to present in a simple and original way the history of the Shrine of Our Lady of Walsingham from its very beginnings in 1061 through to the present day while tying in the many important connections of the Faith in England, Mary’s Dowry. For more information and to purchase this new DVD please visit our website http://www.marysdowryproductions.org/. The Bl. Alexandrina DVD has been cleared for broadcast on EWTN, so hopefully in the coming months will be shown on there and reach a lot more people. - My Jesus, give me the pain that I love so much, give me the purification I so much desire. Keep me in Your heart, and in the heart of your, and my, dear Heavenly Mother. Hear my soul crying in continual agony with the pain it feels and with longing to deliver the world to Thee. I wanted to see the world in my hands, to give unto You as the priest sees the Sacred Host in his hands and offers it to the Eternal Father. Jesus, look at me, look at my agonizing cravings to love You, and humanity, and immolate me as you please. I wanted to tell You so many things, but as I know nothing, I can say nothing. - My daughter, Earth Angel, sweet flower, white flower of Paradise: come, my daughter, to receive further proof of my espousal with you, my marital union. - Receive the effusion of my divine love, embrace it because it's your life and you are the life of souls. Courage my daughter, just a little while longer, your heaven is at hand, it is very near now. Soon your soul, detached from the earth, will fly to heaven as the pure, white dove flies to its nest. Your nest is heaven before the throne of the Divine Majesty, beside my blessed Mother. Frankly I do not know for sure, but, according to information sent to me by Paulette, it was a serious attack; it certainly did not work, because Beata didn’t allow. But I believe it was brave indeed, to finish it off. It seems to be a "hacker". The Bld Alexandrina website is accessible again. Hallelujah! There is something strange about Blessed Alexandrina website, which is no longer accessible. Grace obtained through the intercession of Blessed Alexandrina. I had received as an employee a young man who was addicted to drugs, but animated by good will to get rid of the habit. For two months, I realized that he continued to use drugs, so that he seemed beyond the point of recovery. I prayed for him. I held him very dear because he was a very young man, and because many wept on seeing him in this state. One day, in the evening, knowing that he was about injecting heroin again, I turned in despair to the aid of Alexandrina. The next morning, I saw him coming towards me all serene. He fell into my arms sobbing that, without knowing how, had thrown away the syringe and the powder he had already prepared, and that thereafter he wanted to remain free of them. “I had learned of a saint, Alexandrina Maria da Costa, and I entrusted this boy to her. It was she who saved him. I find no other explanation, because this is a great miracle. When Alexandrina was alive, the family sold doctor Dr. Manuel Augusto Dias de Azevedo - a name we venerate - a bull calf to help subsidize the cost of their house in which, as we know, there were many difficulties. Alexandrina had not seen the herd since the death of her uncle. On the day of the sale she showed a desire to see the young bull before it left. To accede to her wish they decided to take the animal into the patient’s room, but realized that precautions must be taken that it would not upset the bed and injure the patient. So those present surrounded the bed to protect Alexandrina. But what was the astonishment of all when the animal appeared and, once inside, went down on his knees in total calm and serenity! “It seemed to have been taught,” the witnesses said. The bull stood up in all meekness and left. Luciano Domingues de Azevedo, Jose Pereira da Silva Costa, Ana Domingues de Azevedo, Deolinda D. Azevedo, D. Joaquina Azevedo, Rita Domingues de Azevedo. This detail is uplifting and inspiring and reminds us of that other renowned mystic, immortal in the history of the Church and Italy, the stigmatized S. Francis of Assisi. - I was born in the manger of your heart, my daughter. It is the Spouse who comes to His beloved, it is the King who comes to His queen. I am the King of Heaven and earth. How good it is for me to be here, O queen of love! The crib you give me is not rough like Bethlehem, is soft with your virtues. In your crib I do not feel the rigors of cold, I warmed up and burn with the purest love. You are my star, the star that guides the world as it once guided the Magi on the road to Bethlehem. Say, my daughter, to all who care for you, to those who are dear to you, who love and surround you that I give them an abundance of my graces, the fullness of my Divine Love, a place reserved in my Heart with the divine promise of Heaven. - It's your virtues, they are rays of divine love. Receive, they are your life. Here is one of history’s most intriguing and challenging characters – the little monk of Assisi – Francesco di Bernardoni, portrayed in a new and absorbing docudrama as seen through his own eyes. Nobleman, soldier and founder of the Franciscan Order, the world knows him today as St. Francis of Assisi. Journey back into 12th Century Italy and enter upon a dramatic and unforgettable adventure with ‘The King of Feasts’. Meet Francis as the spoiled son of a rich merchant and walk with him through his story of war, pain, rejection, love, passion, Faith, hope and inspiration. If you love history, the visuals of this docudrama will certainly satisfy for the rich costumed portrayals and the atmosphere of Medieval Italy are seeped into the drama of the story. Filmed on locations in West Sussex including the Weald and Downland Museum near Chichester, the rustic, stark yet rich authenticity of the era is captured in an array of varying visuals. A subtle yet powerful blend of historical and relevant imagery includes maps of Assisi and Rome, interspersed with famous and striking works of art that have brought this little poor man of Italy into the imaginations and thoughts of many throughout the centuries. Francis is a conspicuous and remarkable man whose unique life and message stands firm and powerful today. 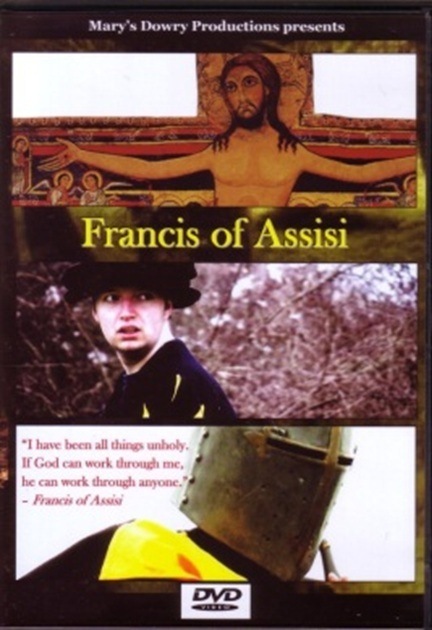 Francis of Assisi is available worldwide on DVD in all region formats from our online shop at www.marysdowryproductions.org It is priced at £12.99. The correct region format for your country will be sent out to you upon your order. A double number, nos. 18/19, of the journal “Boletim de Graças” (Bulletin of Graces) has been released. It begins with a long editorial by the director, Fr Manuel Neiva, under the title "Living of the Eucharist," which accompanies an article of similar length by Mons. Manuel Ferreira Araújo on the "Sacred Heart of Jesus." 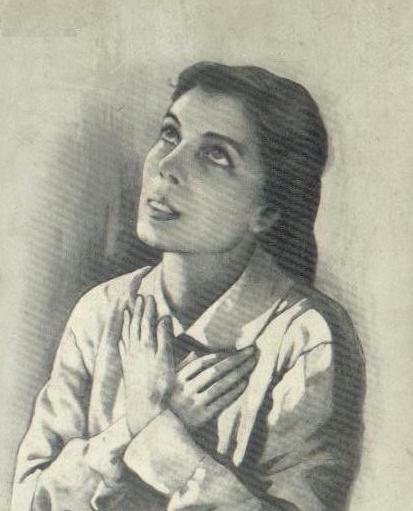 In both cases, the authors highlight the evangelical dimension of Blessed Alexandrina’s life. Msgr. Manuel Ferreira Araújo has also written a “Short biography of Alexandrina of Balasar ", which is mainly a chronology. Fr Dario Pedroso writes again about Alexandrina’s first spiritual director, on page 3. The centre pages, 4 and 5, begin with the "Feast of the seventh anniversary of the beatification of Alexandrina" and afterwards develop the themes "Young Spaniards win the contest of ideas for the shrine in honor of Blessed Alexandrina", "News from Foundation Alexandrina" and "The Daughters of the Poverty of the Blessed Sacrament leave Balasar." Through the "News from the Foundation Alexandrina of Balasar", we learn that a team of volunteers was created to host pilgrims, and they are using a printed pamphlet, "in several languages, with itinerary, and a short explanation of these places, which are very important to know Blessed Alexandrina". A building will soon be acquired and adapted for the headquarters of the Foundation and a Center for Spirituality. The Foundation acquired a site near the churchyard for the purpose of building a Parish Center, etc. On the penultimate page, the Canon Fernando Silva writes about "The month of May in Balasar". This is about the experience of May by Alexandrina, and the last page is a long list of "Graces Received". A brief note in page 3 on "Pilgrimages" says that many messages, letters, requests of prayer cards or books from abroad are received, for example, from Ghana, South Africa, England, Spain, France, Brazil, etc. and that groups of pilgrims came to Balasar from Portugal, Ireland, England, Italy, USA, Canada, France and the Lebanon. It was illegal for him to be a priest in England, but he was bold in the face of threats and came back to Britain undercover. After a dramatic mission throughout Elizabethan England, he was finally caught and found himself on the infamous rack. The government was unable to break him for his determination thwarted even the greatest villains on their payroll. He was 24 years old when he stood beneath a gallows and his whole life flashed before his eyes. 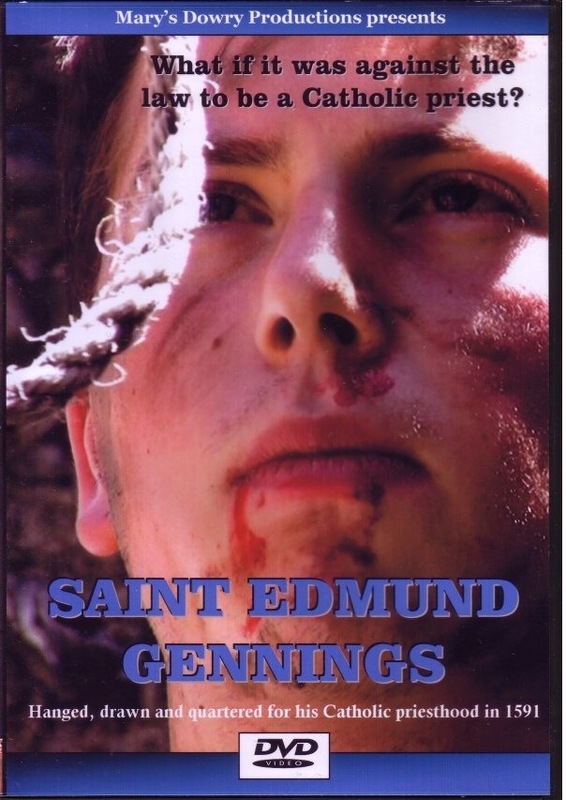 Meet Saint Edmund Gennings. Visit our website today to find out more about this new and exciting production. “Inspiring, compelling, well made and perfectly Catholic. This is history as it should be presented and film as it should be seen. More please". Michael Coren, author, TV and Radio host. If you have not already visited our new website please visit today. Keep up to date with the latest upcoming productions, trailers and new releases at our NEW blog. I write to advise you of an inexplicable occurrence in this Parish of Saint Eulalia of Balasar. Last Corpus Christi, while the people coming to morning Mass were passing the road which crosses the little hill of Calvary, they noticed a cross laid out on the ground. The earth which formed this cross was of a lighter colour than the surrounding soil. Dew had fallen all around, except on the cross. From the report of the parish priest on the apparition of the Holy Cross. O divine shepherdess, queen of the world! - My daughter you do not live the life of the world, you have lost all connection with it. You live in Heaven; you live of what is divine. Your ways are the ways of Christ; this is the reason why you are not understood. Look, my angel, your mission is sublime: it is the richest of missions. That is the reason why you are hated and persecuted, hated by Satan for the souls that you steal from him. Persecuted by the world, because it doesn’t understand the life you live, what my life in souls is. Fear not, daughter, the vast treasure that I gave you through my Mother is not stolen from you. Your great martyrdom is just for the benefit of souls and for my greater glory. I, along with my Blessed Mother, locked the treasure with golden keys. We sealed your heart with divine seals. What pain for My Divine Heart to see your pain! It is necessary to study deeply to understand the life of Christ in souls. When I created you, I did so with such perfection, a perfection that is only able to purify and perform a most sublime mission. In the same way I prepared the souls that would guide you, souls who would understand, souls who only live my life, an intimate life with Me. Those who care for you care for Me. My desire was that all my disciples studied these divine sciences. They do not study them, they do not understand. I give them the lights they need: they try to delete them. In vain: nothing can. In all ages victims are needed; now more than ever I need them. I have destined you, my redeemer, you see to come at this time, a time when humanity is plunged into a vast sea of ​​mud and addictions. It's what you feel that the world steals. It is the vice that is greater than man, is the vice that is the thief of all that is mine. O divine shepherdess, queen of the world, it is I, Jesus, who choose you, who have brought you up to new heights! Keep, save what I give you. Feed the herd in the meadow of purity, in the meadow of charity, of humility and above all in that of love. He who loves, and truly loves, does not offend His Beloved. O fragrant lily, pure lily, radiate the world with your scents, with your virtues that are celestial aromas, scents that attract to you the flock that I entrusted to you and through you come to me, and through you rises to Heaven. Courage! Fear not. The glory is Mine, the triumph is Mine. Throughout all time my Church has been persecuted, how can it, and what belongs to it, not be persecuted now? What is richer and nobler? Never have I immolated another victim to this extent, nor will I: I have never received from anyone so many souls, nor will I. You are the mother, the mother of sinners, their queen. After Me and My Blessed Mother, there is no one who has so much power over them as you. Courage, my shining star, a lighthouse of all mankind! The Everything came down to the nothing, Greatness came down to poverty. Love came down to coldness, to indifference, to misery, to indignity. What a great love is Jesus! You came down from the highest to the lowest. Jesus, give me fire, give me love; love to burn me, love to kill me. I want to live and to die of love. Jesus, may Your divine love be my life. May it and only it be my death. Jesus, I want to love You: to love You until insanity, to love You until dying of love. Jesus, I want to be beloved one, the madness of your love... to be lost in the immensity of your love. Jesus, I consecrate myself, wholly and forever, to You: I consecrate me wholly and forever to the Dear beloved Mother. Love Her for me, speak to Her about me. Dear Mother, come, come soon: give thanks to Jesus for me. Tell Him that I love Him... Tell Him that I belong to Him. Tell Him that I only want to think of Him, that I only want to speak about Him, that I only want to live for Him. that nothing may remain in my body and my soul to be crucified. Dear Mother, thank Jesus for me for all the benefits I have received until this moment and for those I trust I shall receive. Thank Him for all the tribulations and grief... joys and sadness, tears and smiles, everything which makes me glad and makes me suffer. Tell Him that I welcome everything from His divine hands, as proof of His biggest love for me. Give Him a great thank you, a continuous thank you, perpetual thanks! O Dear Mother, thank Him for everything I have received and I may receive in the time being and on later in eternity. The Heaven, the Heaven, Dear Mother, what a great love! O, how great is my debt to Jesus! Yesterday came to Balasar the Brazilian couple founder of the Community of the Servants of Mary of the Sacred Heart. The community has already houses in Brazil, Italy, Mexico, Panama, Nicaragua, Colombia and Rwanda. 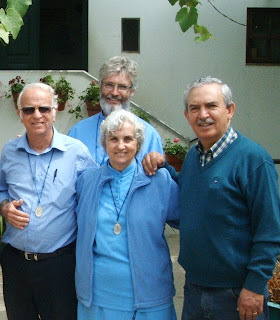 In the photo, beyond the founding couple, you see at right the author of this blog and behind Fr Lourezo D'Andrea, co-founder of the community.